Claude Puel has admitted it has not been easy to prepare his Leicester City side for their match against Burnley on Saturday, but says it was important to travel to Thailand for Vichai Srivaddhanaprabha's funeral. The Leicester owner was one of five people killed when his helicopter crashed outside the King Power Stadium on October 27. 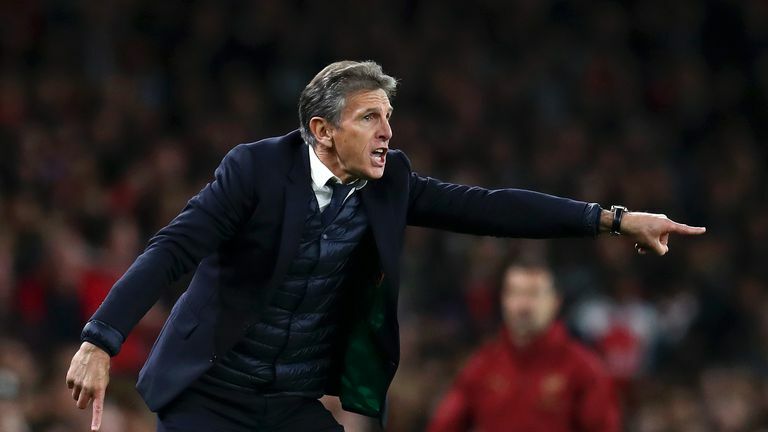 Puel was part of a large delegation comprising players and staff to Thailand following their match against Cardiff City last weekend, where they paid their respects to the late chairman. They did not arrive back in the UK until earlier this week, and Puel said: "We didn't have a lot of training sessions. "We tried to work a little on Wednesday - it was a light training session after the journey. "It's not easy to prepare this game but I think the togetherness between ourselves is a good feeling. "It gives us good energy, fantastic strength and I think it will compensate with our spirit and positive attitude and all the support from our fans." Leicester's game against Burnley is their first at the King Power since Srivaddhanaprabha's death, and Puel said it is vital his players find the right balance between emotion and professionalism. He said: "I think we need to find the right balance between the emotion and our concentration and focus. "It's the most important to manage our emotion around the next game and to have the possibility to give a good response. "We need to find this right balance. Of course we did not have a lot of training sessions but this journey was important for us."